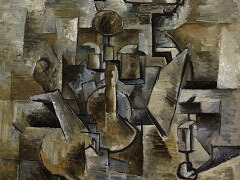 In early 1908, Georges Braque began an artistic collaboration with Picasso. 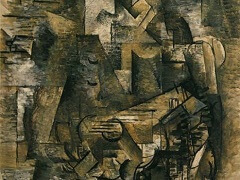 From 1909 until Braque was mobilized for World War I, they worked in creative dialogue, breaking down and reformulating the representation of objects and their structure. 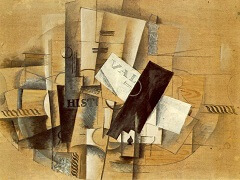 In doing so, they pioneered one of the most radical artistic revolutions of the twentieth century, Cubism. 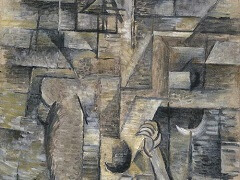 Little Harbor in Normandy is the first fully realized example of Braque's early Cubist style. He described the channel coast in severe geometries and a sober palette, reduced in range and intensity to pale shades of color. 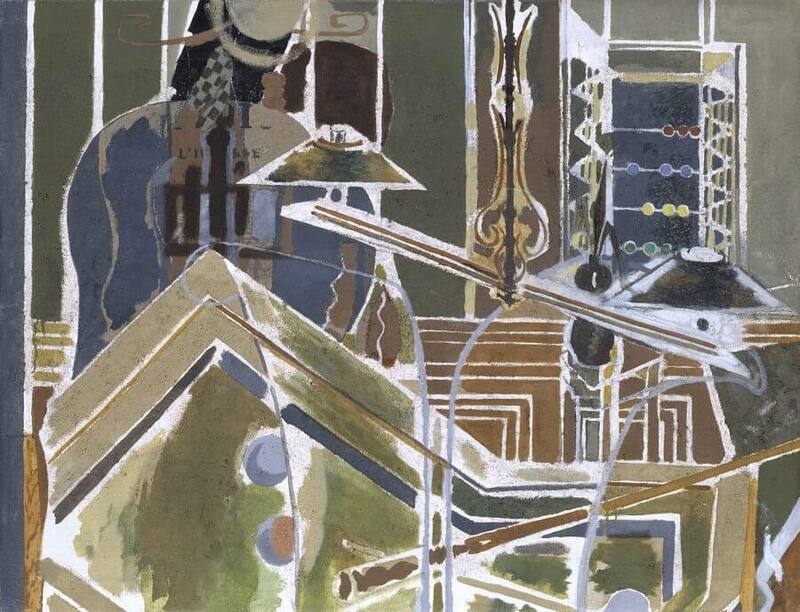 His compressed treatment of space and use of a shifting perspective seems to propel the two sailboats forward to the front edges of the picture. 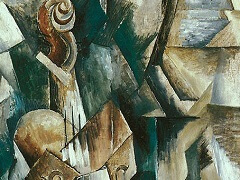 To further energize the scene, Braque added a fringe of whitecaps to the sea and dashes of clouds across the sky. 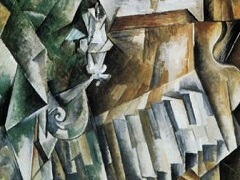 His repetitive, striated modeling of form, inspired by his study of the art of Paul Cézanne, increased the rigid tension of this canvas. 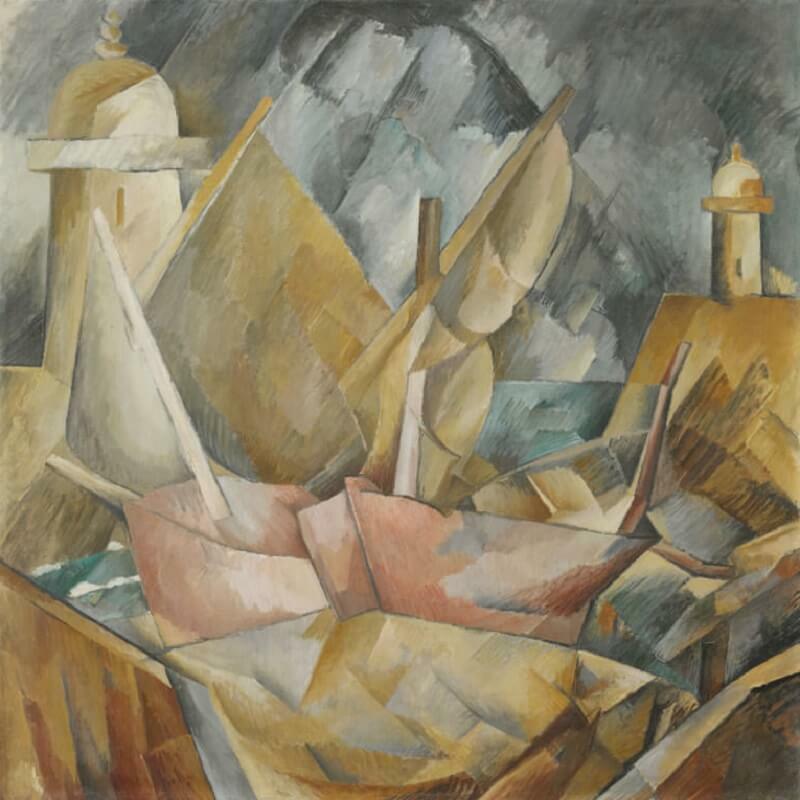 Documentation suggests that Little Harbor in Normandy was exhibited in Paris in March 1909 at the Salon des Indépendants, making this painting the first major Cubist work to be shown in such a prominent venue. 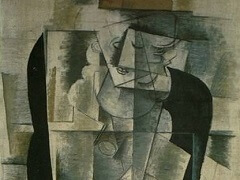 The painting is now owned by Art Institute of Chicago.